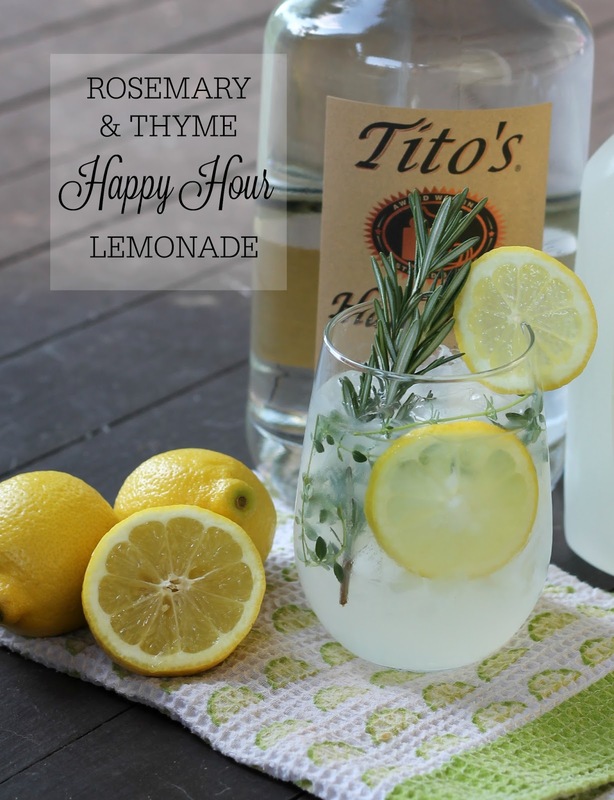 Over the weekend I whipped up some classic lemonade with a delicious twist! For my long time followers you probably aren’t surprised that I’m getting creative with lemons again (see: bridal photos). But I can’t help but share a refreshing summertime beverage! 1. In a small pot, combine 2 cups water with sugar. Cook over medium heat and stir to dissolve the sugar. Once the sugar has dissolved, remove from heat and throw in the sprigs of rosemary and thyme. Set aside until cool (allow the mixture to sit for at least two hours for maximum flavor. 2. Discard the rosemary and thyme sprigs. 3. In a large pitcher, stir together the lemon juice (approx. 1 cup), sweetened water and the remaining cold water. 4. Serve in individual glasses filled with ice and a shot of vodka. 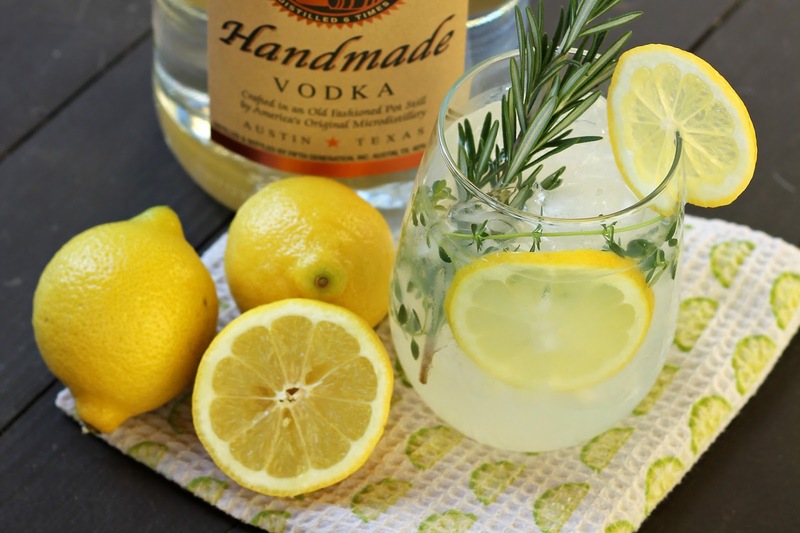 Garnish with a few lemon slices, rosemary sprigs and thyme sprigs. Disclaimer: this delicious drink will definitely have you going back for a few refills! Enjoy! This sounds so refreshing! Thanks for sharing! This drink looks delicious— beautiful photos of it too!! Oh yum! This looks refreshing, and fun! Well this sounds divine! And so refreshing! And I just bought a bottle of Tito's yesterday! I have never followed a blog before and I found your story while looking for an idea of a place to give my MOH for bachelorette night. From one Carolina girl to another I just wanted to say I think you are so wonderful and your blog is great! Somehow I ended up on here for hours and definitely not reading about bachelorette night lol! Thank you for sharing your life with the world!